Obama: We don't want Romney's version of "change"
After taking a brief respite from politics to respond to Superstorm Sandy, President Obama returned to the campaign trail in Green Bay, Wis., with a forceful attack against Mitt Romney's promise to bring "real change" to Washington. 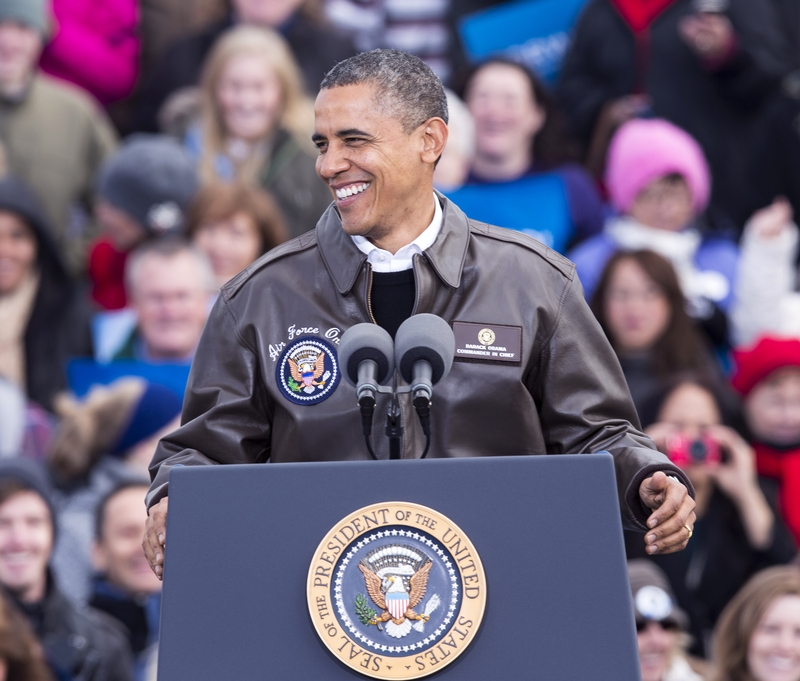 "He's saying he's the candidate of change," Mr. Obama, wearing a brown leather bomber jacket, told a cheering crowd assembled on the tarmac at the Austin Straubel International Airport. "Lemme tell you, Wisconsin -- we know what change looks like. What the governor's offering sure ain't change." As Romney has taken a more moderate tone in the final days of the campaign, he's co-opted Mr. Obama's 2008 promise of change, telling a crowd in Tampa, Florida on Wednesday, "I don't just talk about change. I actually have a plan to execute change and to make it happen." The president said today that Romney's policies didn't represent change but a return to the policies of the Bush administration that sparked the 2008 financial crisis and the recession. "Giving more power to the biggest banks isn't change," Mr. Obama said. "Leaving millions without health insurance isn't change... Turning Medicare into a voucher is change, but we don't want that change." The president charged Romney with "pledging to rubber stamp the Tea Party's agenda as president," slamming the Republican Congress for obstructing his agenda. New York Times columnist David Brooks recently argued that Romney would be more effective in the White House because he "has more influence over the most intransigent element in the Washington equation - House Republicans." Mr. Obama today, however, said that a vote for obstructionist Republicans doesn't amount to change but rather "surrender." Mr. Obama said his agenda has been fought by the "protectors of the status quo," who spent millions to obstruct his health care and Wall Street reforms. "What they're counting on now is the American people will be so worn down... that you'll actually reward obstruction," he said. "Their bet is on cynicism. Wisconsin, my bet is on you." He acknowledged to the crowd that he hasn't finished his whole agenda in one term but promised to keep fighting for the middle class. "After four years as president, you know me by now," he said. "You may not agree with every decision I've made. You may be frustrated by the pace of change -- but you know what I believe, you know where I stand." In spite of the obstruction he faced, Mr. Obama said, "We've won some great fights," hailing his health care reform, his decision to back the auto industry and other policy achievements. Looking to the future, the president spoke of his plans to hire more teachers and keep investing in clean technology. He noted that Americans now have jobs in the clean energy sector "that weren't there four years ago." "Sure, not all technologies we bet on will pan out," Mr. Obama said, alluding to the few companies with government backing that failed, like the solar company Solyndra. "But I promise you this, there is a future for manufacturing here in America. There is a future for clean energy here in America."